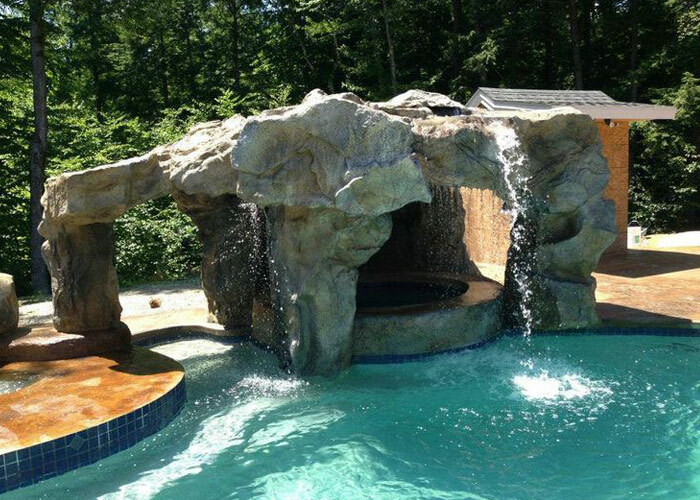 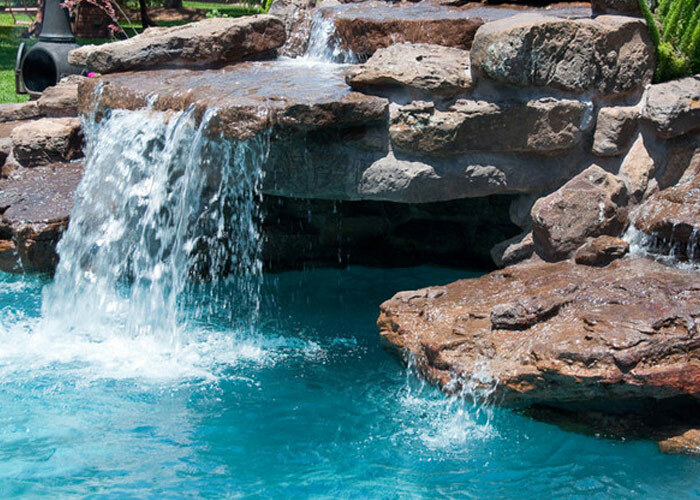 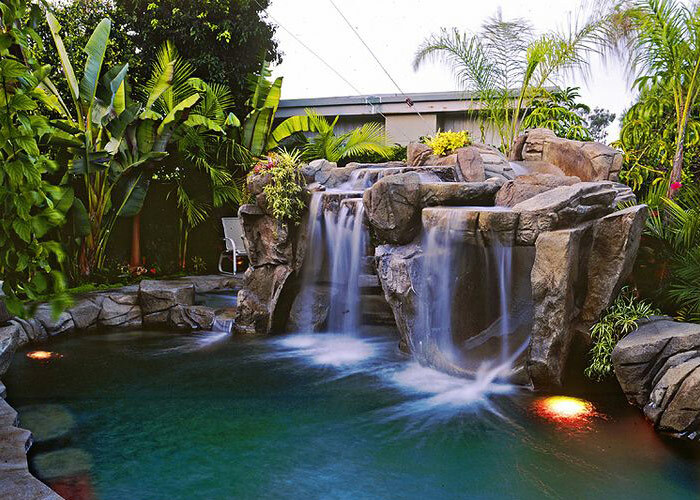 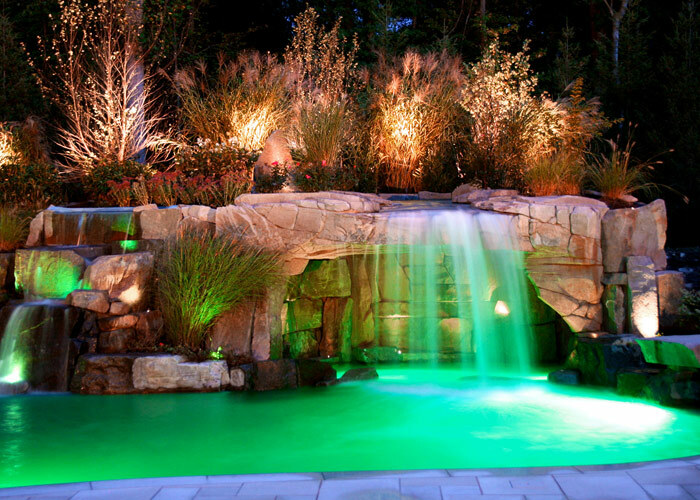 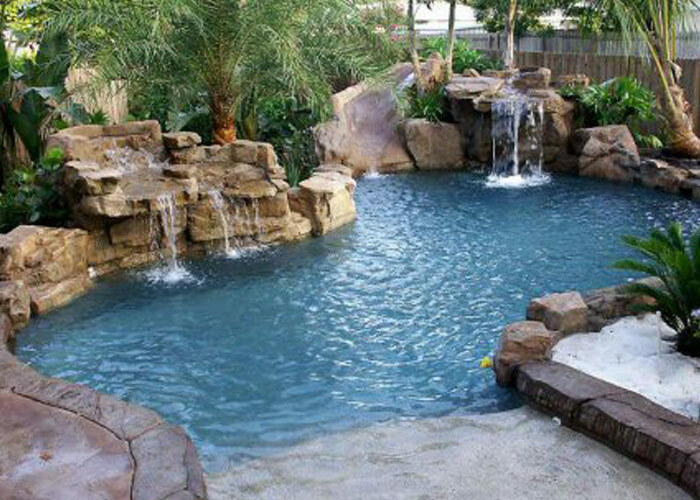 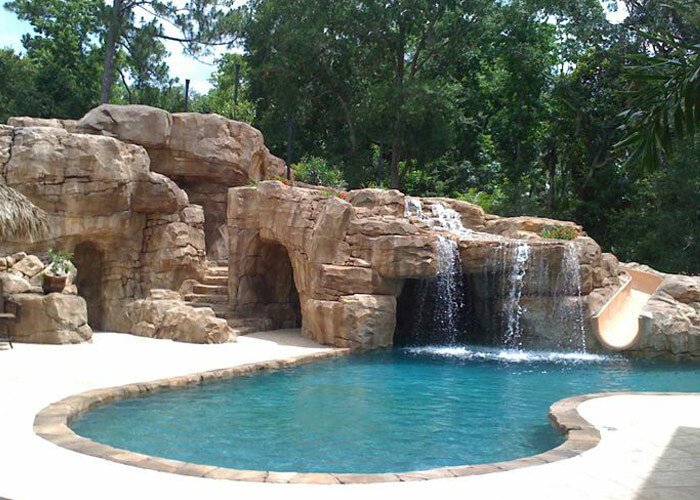 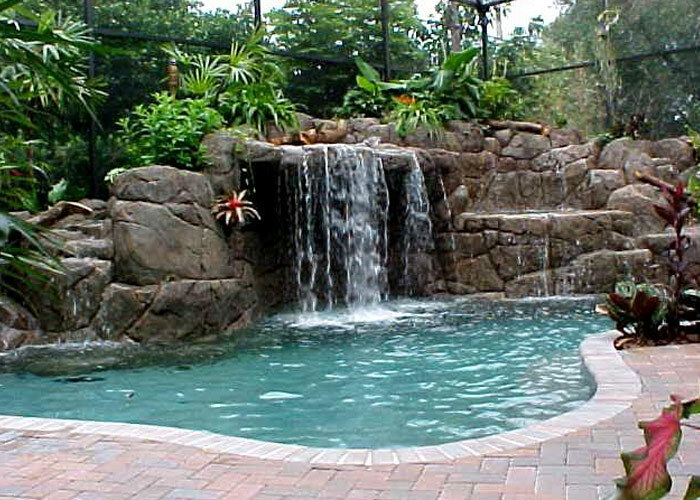 Caves and grottos create a sense of mystery in your pool, hinting at a secluded entryway that’s just begging to be discovered. Surrounded by rockwork, waterfalls, colored lights, and more, caves offer a unique space to relax and cool off in the shade. They can be as extravagant as a multi-room cave or as cozy as a loveseat tucked behind a tropical waterfall. We can create anything you can imagine, from a simple loveseat to a secret space hidden behind a waterfall.